Like any other enterprise, banks are businesses. And like any other business, banks need to make money. The most effective way for banks to make this happen is by acquiring new customers or offering new products or services to existing ones, which is the purpose of cross-selling. Cross-selling is something banks have been trying to address for years, but the current economic climate has now made it imperative for banks to emphasize this strategy even more. And since acquiring new clients has become increasingly difficult, focusing on getting existing customers to use more services becomes paramount for banks to make profit. 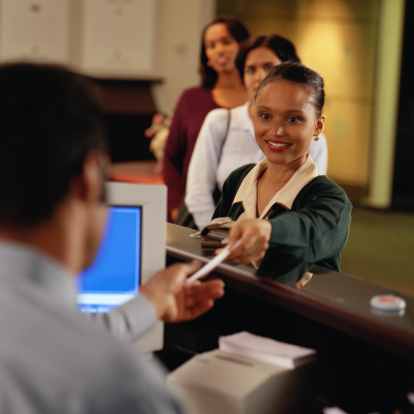 General services from a bank are considered a necessity for most people. But how do banks get people to sign up for additional services? A recent Gallup U.S. Retail Banking Survey reported that receiving some kind of communication from the bank is the main factor that prompts consumers already considering it to open a new account. The second-most effective means of communication that consumers respond to is direct mail. Conversion rates increase by close to 17% when consumers considering a new service receive some type of direct mail piece, such as a brochure. It shouldn’t be surprising that direct mail is the cause of such a high conversion rate when it comes to cross-selling bank services. People instinctively are very private about their financial services and one of the strengths of direct mail is its ability to be personal in its messaging. And because direct mail copy is segmented to each consumer group, the content usually speaks directly to the needs of the consumer, mentioning services they already have and letting them know how new services can help better their banking experience. Direct mail is also perfect for cross-selling because it’s an intimate way to introduce new customers to the bank’s services. Customers who are unaware of what the bank has to offer but are curious to find information about the services are more likely to respond to the personal nature of direct mail as opposed to other forms of communication. Macromark has three decades of experience in executing direct mail campaigns. They understand the importance of cross-selling strategies for banks and how it goes to their bottom line. Customers are important for everyone, but customer acquisition and retention for banks are absolutely critical to their success. Macromark knows how to successfully execute direct mail marketing campaigns. They are skilled at messaging existing clients and brokering lists for acquiring new ones. Marous, J., “Banks and Credit Unions Must Improve Cross-Sell Efforts,” TheFinancialBrand.com, December 30, 2014; http://thefinancialbrand.com/46292/banks-and-credit-unions-must-improve-cross-selling-2/.